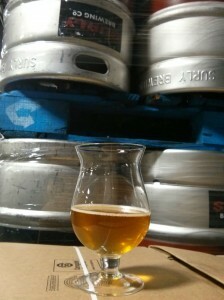 Surly Misanthrope, also ferments on Brett and house Belgian yeast. Surly Brewing is partnering with Chipotle Mexican Grill to create ‘Surly Cultivate Farmhouse Ale,’ a Saison-style beer that will be initially exclusive to Chipotle’s Cultivate Minneapolis Festival later this summer. Every Minnesota craft beer fan knows that Surly brewmaster Todd Haug likes to do things a bit differently than most. Hell, Surly has built their brand around it. The Cultivate Farmhouse Ale Todd is brewing for this forward thinking festival will definitely be different. Different how? For starters the beer will be a gruit. Gruit is a historical style of beer that was prevalent for many centuries before the use of hops was popularized. Gruits don’t use hops, instead botanicals like spices, roots and herbs flavor and preserve the beer. Rosemary, Spruce, and Juniper can be found in many modern gruit recipes. 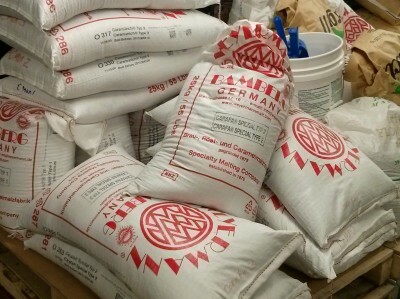 The malt bill will be comprised of Franco-Belges Pilsen and a small amount of Wayermann Rye. The small amount of rye won’t won’t be competing with hops for a spot on flavor palate. Even a minimal amount rye should impart some dry, spicy, or peppery flavors. The wort will ferment on a combination of Surly’s house Belgian yeast and Brettanomyces. This is similar to the way Misanthrope is fermented. “Lots of gruits can have a “worty” or unfinished taste. We hope to avoid that with this fermentation, said Haug. The beer should finish fermenting at 1°P or a specific gravity of about 1.004, giving it a light body. Surly Cultivate Farmhouse Ale will come in around 5% ABV with a bitterness of around 33 IBU. Lower abv, slight bitternes, and effervescent carbonation will make this beer ideal for a warm summer day, just as a Saison was intended. To find out more about Chipotle Cultivate Minneapolis follow the link.